Active air at launch at 1pm. Rusty went, got up quick, then down below launch. Sam went, not great yet and was struggling. Then, out in front, he got a hold of something. 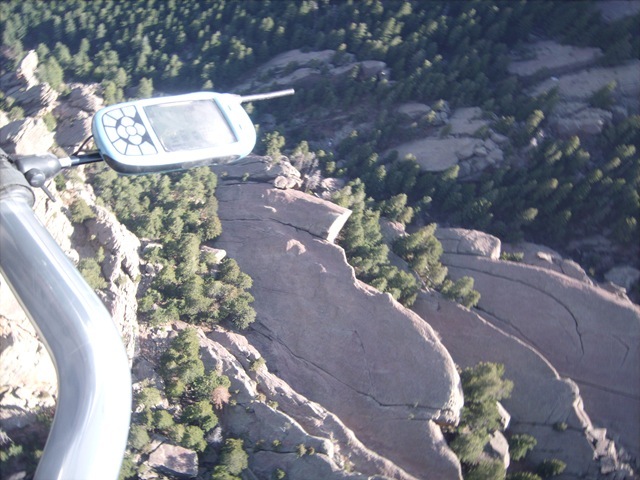 I launched hoping to snag it under him and we climbed up to 9200ft(2500over launch) and on task we went (1st Flatiron in Boulder and back). 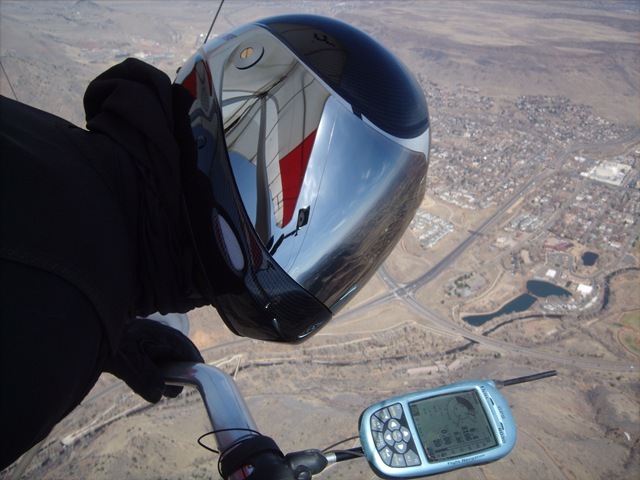 XCSkies called for lift to 11k and SE wind at 5-10. 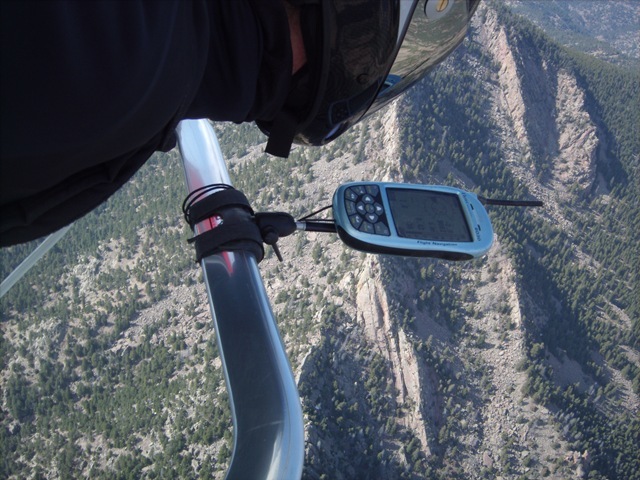 It was right except I only got as high as 9700ft. Sam hit 10.5 I think. 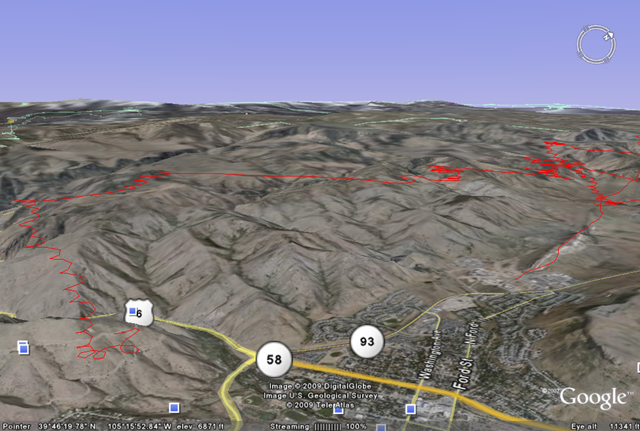 Over 8k, it was pretty much Due South at 6mph so we had tailwind to Boulder. 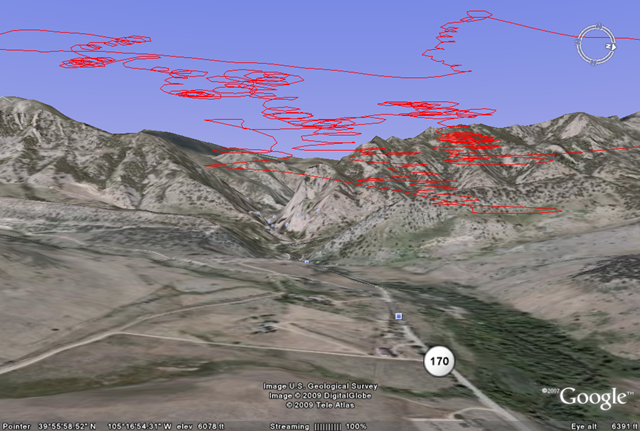 Just a few miles out, we had trouble getting something coherent. I wanted to get high before going dnwind of the Ralston Res. and lost a bunch hunting around the quarry/mine, but got the big one after tracking back and wasting time… Sam had a great low save after trying to push on, coming back and hanging out low near the quarry. 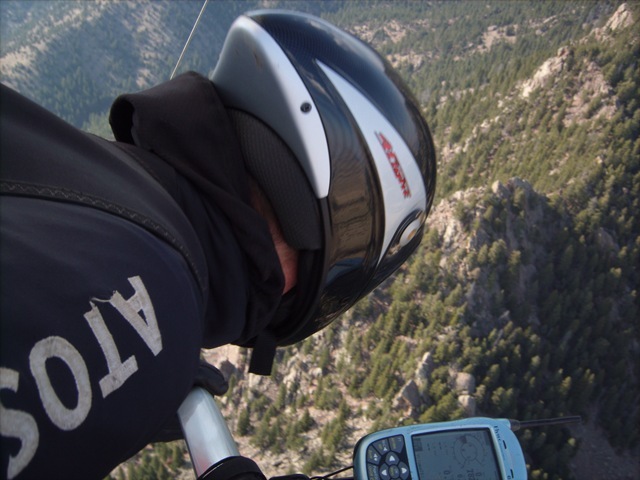 I glided to the other side of Coal Creek canyon and got 1000ft off the face back to 8600ft which didn’t feel high enough to cruise over all the pine trees ahead so I worked hard just before the trees spread out everywhere and cruised to Shadow Canyon (almost). Experienced guys say you pretty much always get up there and my 3 times concur so far. Getting a bit confident that the day was getting stronger and the flatirons would keep me up no matter what, I started sight seeing. 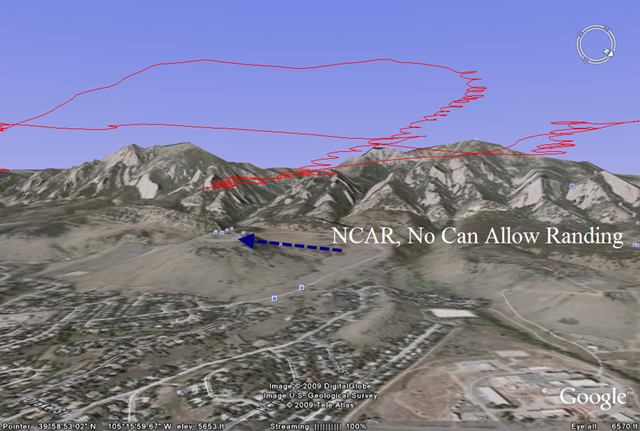 I got low and was making a last ditch attempt to find a thermal over the non-treed hill that NCAR sits on and would be landing there if it didn’t work. I heard later that would have been a huge no-no. 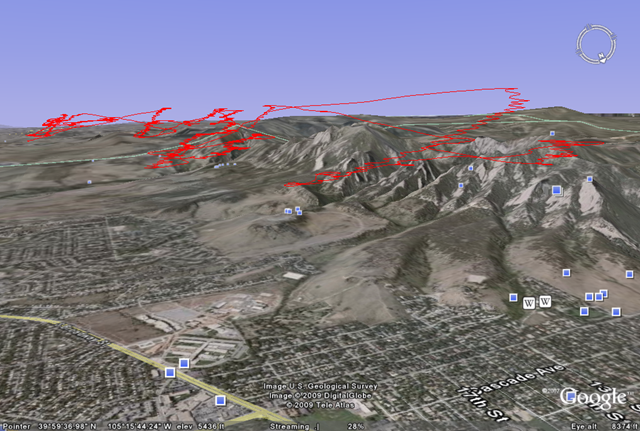 Sam saw me struggling there and decided to head to N. Boulder to land instead of fight a headwind with low chances. But, I scratched like the queen of the sorority and got it back up. The drift wasn’t encouraging, but I went for broke and worked hard on maximizing my glide following a lift line to the SE for a bit. 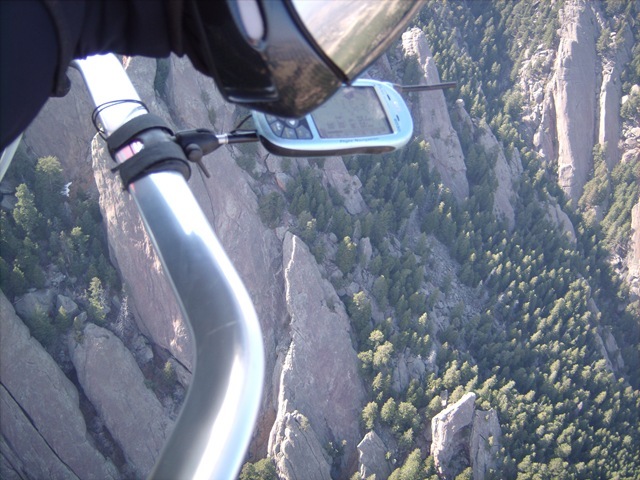 This glide left me low by Eldorado canyon, beating my head against a wall for 1/2 hour trying to get out of there. 2 out of 3 flights to Boulder had this same problem. 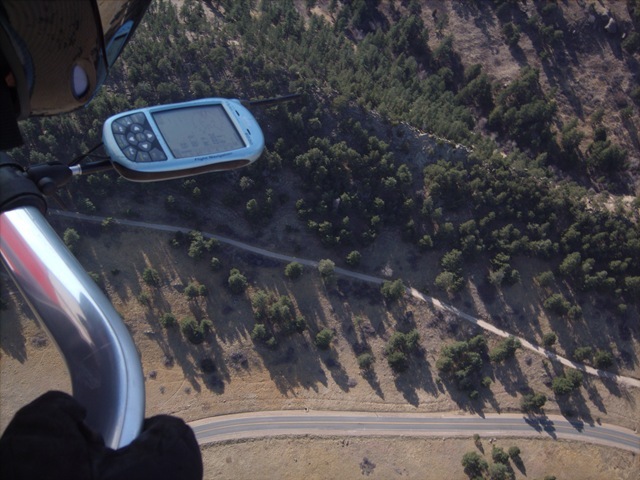 Below, I thought it was over at 500ft AGL. For maxing out around 5-600fpm lift, there were some pretty ridiculously turbulent bubbles down low. 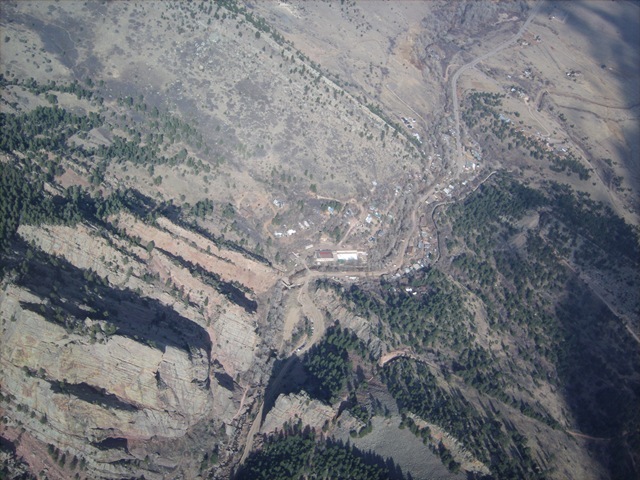 Mostly back low by Eldorado canyon. It felt like I was on the lee side of the hills which could be true in the S wind. The mostly sunny sky was baking some places into boiling. 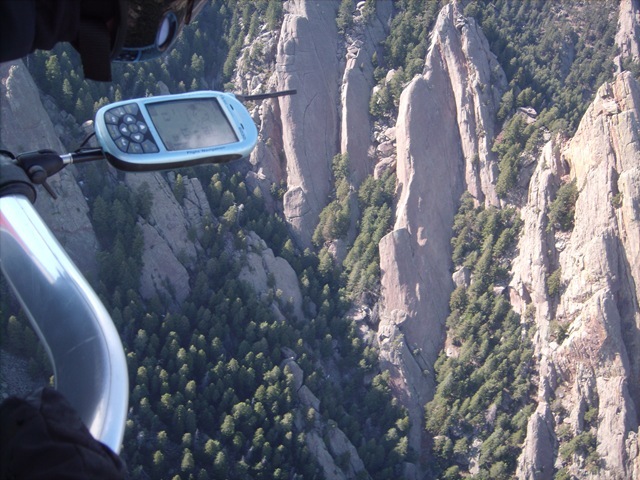 Looking down into Eldorado Canyon on the way to Boulder. 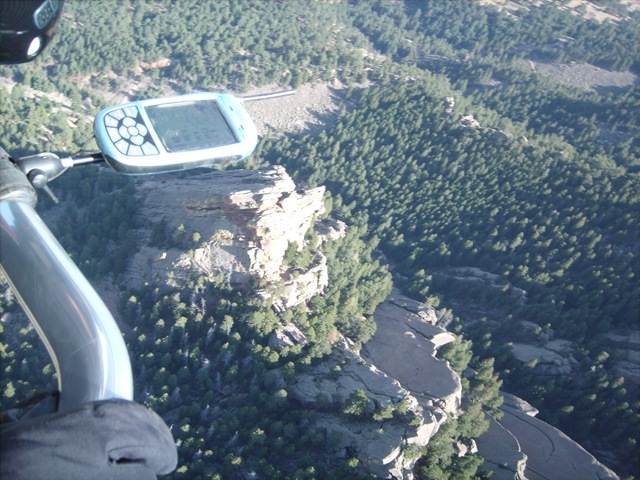 First time flying with the Point’n’Shoot camera. I thought I got good pictures of Sam, but nill. I need to buy a new HD video camera since the first one crapped the bed… But, I’m laid off now… No money, lots of flying time. Why can’t I have both? What a great day.